What tea you have prepared for this crisp and dry season? 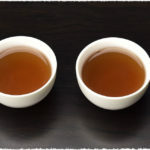 Some warm black tea, strong pu-erh or a cup of refreshing and nice oolong tea? Write your answer in the questionnaire below. Have a chance to win special giveaways! Sep 19, 2013 is an important traditional Chinese festival, the Mid-Autumn Festival. Back in ancient Chinese, there were plenty of praises for the full moon on Mid-Autumn night, such as Song Dynasty. The great Ci poet Su Shi had composed a line about moon: when will the bright moon arise? Raise your cup, query the sky (明月几时有，把酒问青天). This line expresses the missing to families and friends. Su Shi was also fond of tea, especially a Fujian Oolong Tea called as Miyunlong Da Hong Pao (密云龙大红袍). Though we can’t have a chance for the Miyunlong nowadays, TeaVivre here brings the teas from the home town of Oolong for every tea lover. We welcome everyone to be our guest. 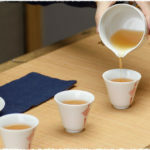 We prepared a Giveaway questionnaire, and 10 packs of Featured Taiwan Oolong Tea Samples(5 sample sachets) as gifts for the lucky customers in the Giveaway. 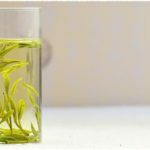 Cold steeping can open up your tea world. Be ready to add cold water if the taste is strong.